Kouvola is a town and municipality in southeastern Finland. 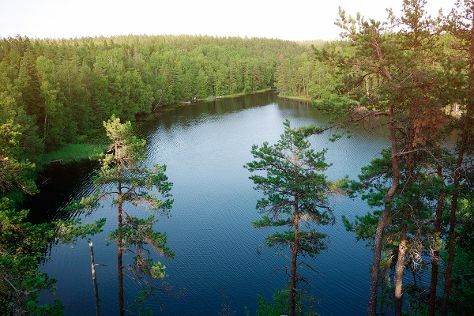 Discover out-of-the-way places like Repovesi National Park and Niivermaki Nature Conservation Area. Get outdoors at Arboretum Mustila and Hiidenvuori. Change things up with these side-trips from Kouvola: Kotka (Riverside Park, Linden Esplanade, & more) and Saint Peter and Saint Paul Cathedral (in Hamina). There's more to do: see the interesting displays at Kouvola City Museum. To find maps, ratings, photos, and more tourist information, read Kouvola online sightseeing planner . Paris, France to Kouvola is an approximately 9-hour flight. You can also drive. The time zone changes from Central European Time to Eastern European Time, which is usually a 1 hour difference. When traveling from Paris in August, plan for little chillier days in Kouvola, with highs around 24°C, while nights are about the same with lows around 13°C. Cap off your sightseeing on the 4th (Sun) early enough to catch the train to Helsinki. Get some historical perspective at Seurasaari Island and Open-Air Museum and Cathedral of Porvoo. 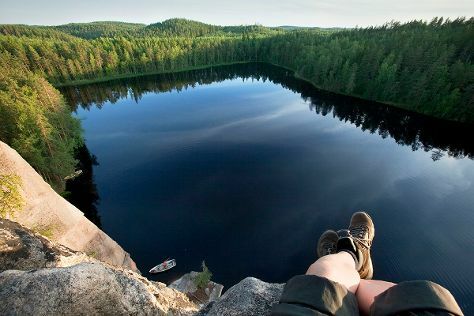 Step out of the city life by going to Nuuksio National Park and Aurinkolahti Beach. And it doesn't end there: take a stroll through Katajanokka, admire the masterpieces at Kansallisgalleria, and steep yourself in history at The Aalto House. For maps, photos, reviews, and more tourist information, use the Helsinki route builder tool . Traveling by train from Kouvola to Helsinki takes 1.5 hours. Alternatively, you can drive; or take a bus. In August, daytime highs in Helsinki are 24°C, while nighttime lows are 13°C. Finish your sightseeing early on the 7th (Wed) so you can travel back home.